Written By: Rn Deborah Sandella, Ph.D. 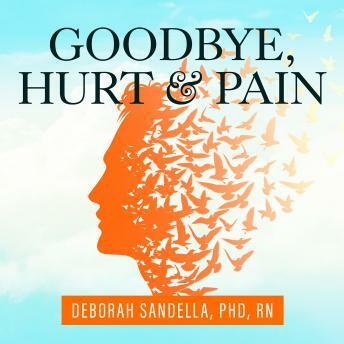 In Goodbye, Hurt & Pain, Deborah Sandella, PhD, RN, uses cutting-edge neuroscience research and her revolutionary Regenerating Images in Memory (RIM) technique to show how blocked feelings prevent us from getting what we want, and she introduces a process that bypasses logic and thinking to activate our own emotional 'self-cleaning oven.' Using imagination, color, and shape to visualize feelings and get straight to the root of longstanding problems, she teaches us to move destructive feelings such as fear, anger, hurt, resentment, and envy out of the body. Letting go of old feelings and traumatic memory at a deep, cellular level makes people feel and look younger, lighter, more energized, and less burdened. And they can begin to experience results after just one or two self-directed sessions. by Rn Deborah Sandella, Ph.D.